If you're in the market for backpacks for the dogs in your life, consider these tips on getting the right one. Not sure about hiking with dogs? The dog pack must fit the dog, or the dog won't wear it. So be sure you're working with a reputable doggie backpack manufacturer, one which has invested some time and thought into the design of the dog pack. 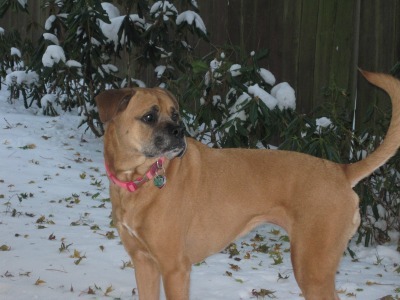 Also consider the color of the pack you put on your dog, because it really matters - to you! Pick the brightest colored pack you can find. you want to be able to spot him/her immediately. Avoid the entire frantic "where are you??" drama by avoiding subtle colors in your "backpacks for dogs" quest. Bright colors also give a heads up for oncoming hikers, which is a courtesy for those who aren't as fond of your dog as your are. As a courtesy to your hiking dog, do a few trial runs with a gradually heavier pack, just to get her coordination and balance figured out before you hit the trail. Most dogs love to have a job in the pack, and wearing a pack might be just the ticket to improved trail behaviors. 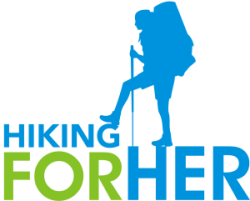 It's also good to get the fit just right, to prevent chafing or blisters which could act as a trail disincentive. To answer that question, let's consider one of the most bombproof doggie packs on the market. Mountainsmith makes some of the most durable yet reasonably priced gear I've ever seen. I use their packs for carrying expensive cameras, and have never had a malfunction in over ten years, so I have complete confidence in this brand. empty pack weight hovers around a pound. This dog pack will take you on many day hikes, and keep your dog as comfortable on the trail as possible while taking some of the burden out of your own pack in terms of trail treats, water, a doggie sweater, or other trail necessities. Note that if your dog isn't exactly a "small" or some other designated size (measured by girth), you'll have to rely upon the adjustable straps to get the best fit. Watch your dog for feedback about the fit, such as tugging or chewing. 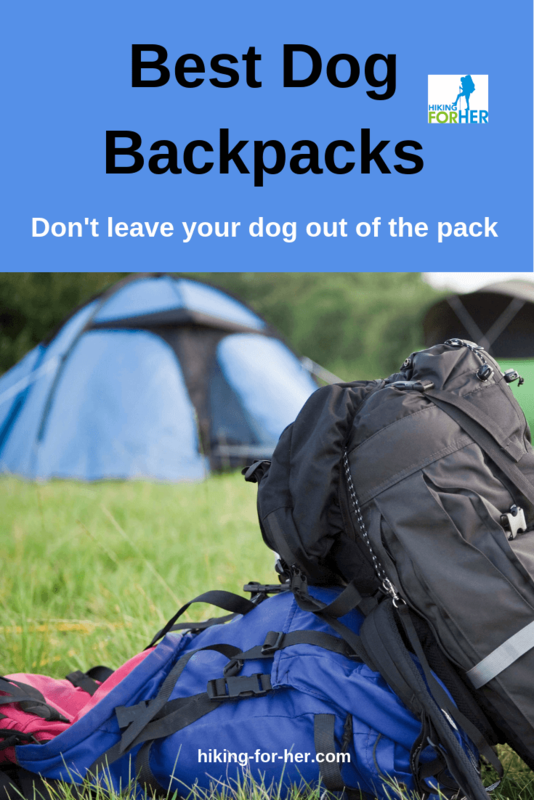 And if your canine hiking buddy begins to avoid putting on the pack, spend some time figuring out why. Are the straps rubbing on the sensitive "pit" areas of the legs? Does the pack make noises that are scary or irritating? My dog Cleo couldn't wait to get the pack on, because it meant she was going for a walk with a capital W! But it did take some trial and error to get the fit just right, with monthly adjustments as she grew into her adult size and weight. Where's my backpack? Let's go! To step things up a few notches for longer trips, you'll need to consider a pack with even more features. The price, of course, will also step up. The Ruffwear brand is well respected and has gotten rave reviews from dog owners who backpack for extended periods of time. multiple adjustment points so you can get the fit just right. But don't expect this feature-loaded pack to do all of the work. It's up to you to be sure the load is balanced and not flopping around inside, the straps are secure but not overly tight, and your dog feels confident about moving in it in any terrain. Another dog worthy choice: Mountainsmith dog backpacks. The chest harness is humanely padded at the sternum, and has four points of adjustment to get a customized fit on your hiking dog. You can adjust the fit even more with the back harness and belly strap. The two pannier pockets zip close to keep the contents secure. Keeping your dog from rolling in the mud, or worse yet, bear poop! But that's a small price to pay for hiking with your dog, right? For tips on how to get the best fit, as well as other useful hints on hiking with your dog(s), read this. And now that you know how to find the best backpacks for dogs, what are you waiting for? Load up the pack with more great hiking dog gear and hit the trail!